You know the feeling. You pose like a superhero after a 260-yard bomb and feel like your game is finally coming together. Then on the next tee you hit a 200-yard pull and skulk away like a perp leaving the scene of a crime. 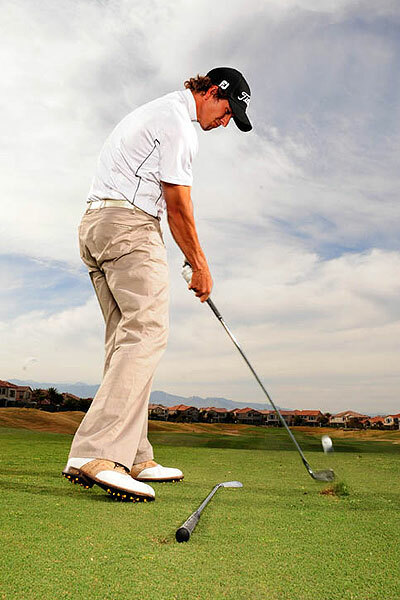 Your main problem isn’t your swing plane or your alignment: it’s inconsistency. You won’t start posting the scores you’re capable of until you develop a swing you can repeat. The key is to master a few simple moves. Here’s how. 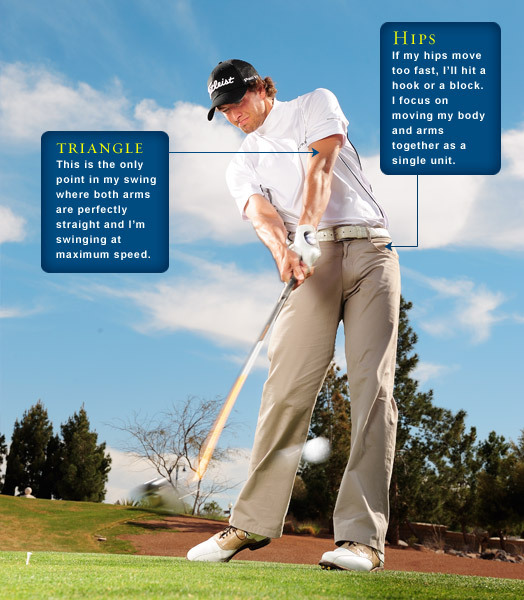 Notice how the club and my body start back together. Focus on making a smooth takeaway to time this right. 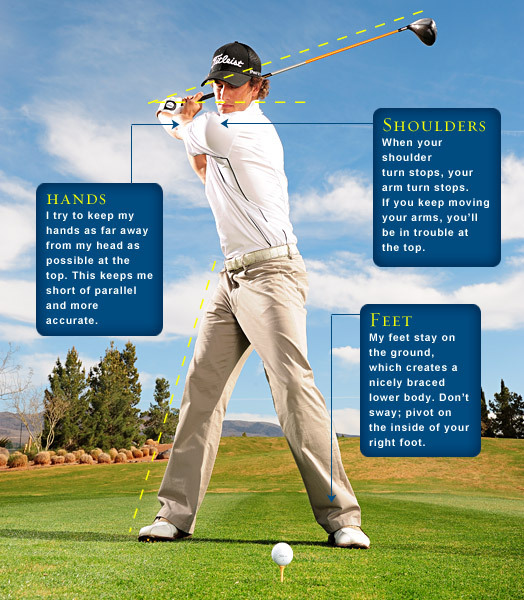 Swing your arms without a club. Focus on keeping your body and arms in sync. 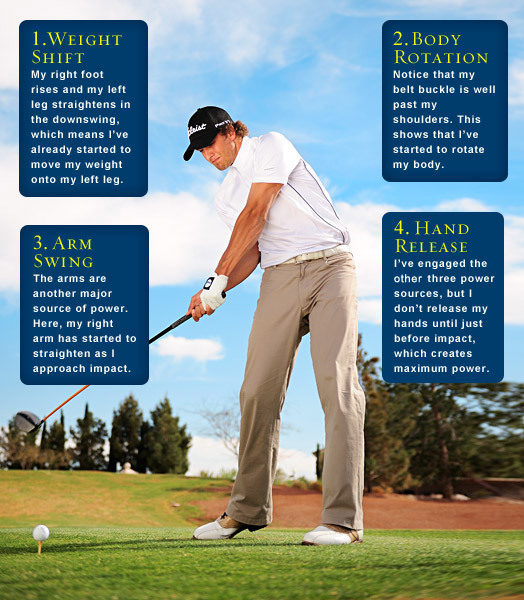 If you’ve moved everything as one piece, your arms will be in front of your chest at impact. I want to finish my follow-through with my eyes looking directly at the target. This indicates that I’ve made a complete body rotation. 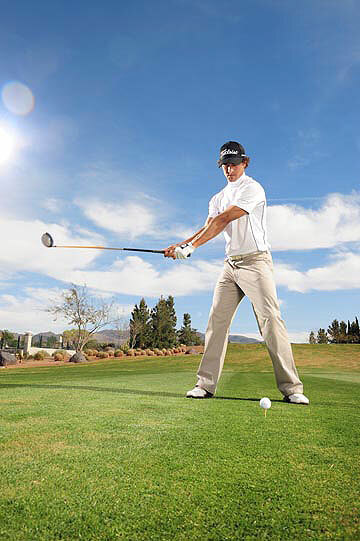 Don’t keep your head down for too long — it can restrict your ability to move into your follow-through. 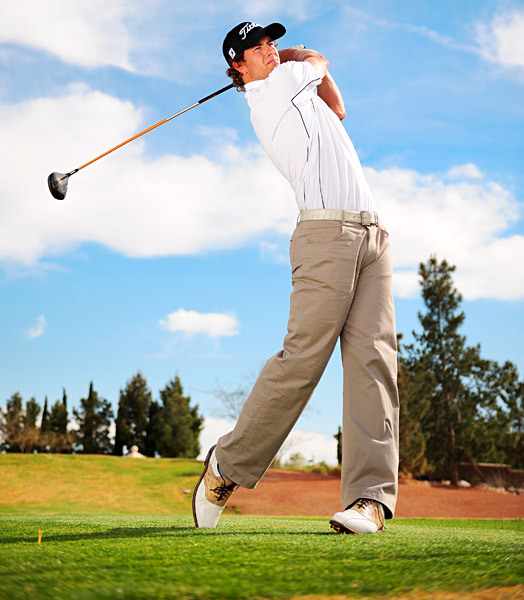 Because my hips started my downswing, they should be more open than my shoulders through impact. The bottom of the spikes on my right shoe are visible, which means that I’ve correctly rolled my weight to my left side off the inside of my right foot. My forearms are square, and the divot indicates that I’ve hit down and compressed the ball off the ground. 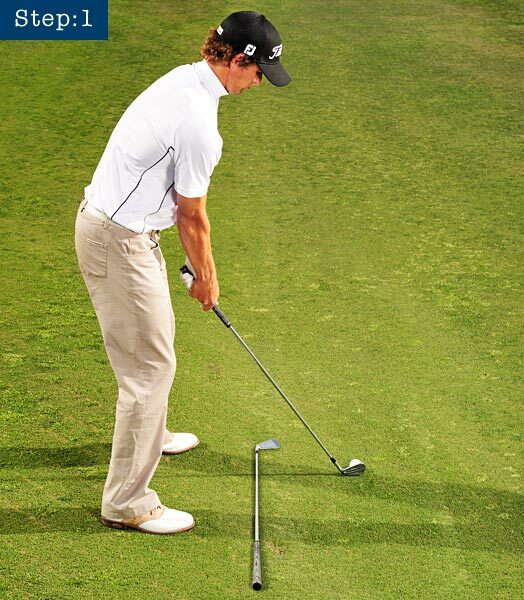 Get square by setting a club parallel to your target line and your feet parallel to the club. 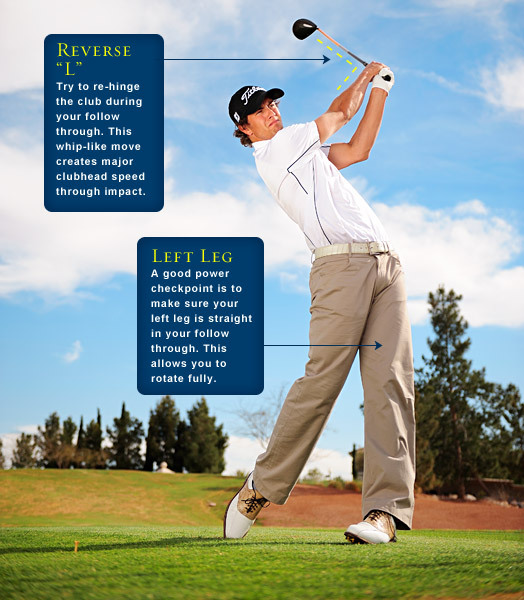 Make your normal swing — start with a smooth backswing and end with a full finish. 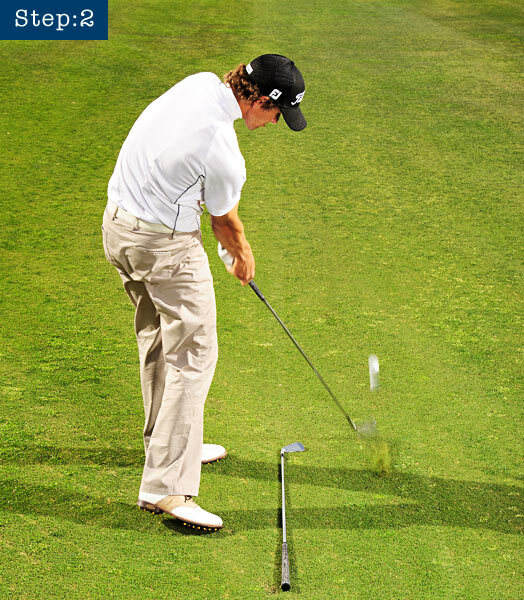 Watch your ball flight; that’s the best clue to what you did right and wrong in your swing. My shoulders and arms are moving while my hips stay pretty quiet. Amateurs tend to turn their hips too early. Don’t move your hips until your shoulder turn forces them to move. 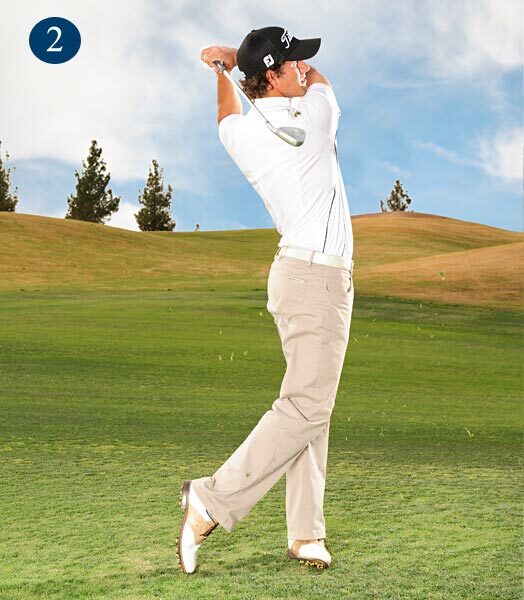 When you’re halfway back, check to make sure your clubshaft is parallel to the club on the ground and the clubface is in a square position. I play aggressively and go for the green whenever I can (and you should, too, when you have the opportunity). On well-protected greens like this one, however, the smart play is to find your perfect lay-up distance. My full sand-wedge distance is 95 yards, so that’s where I try to leave myself a shot from. My strategy for each pin position is shown at right. The only time you should do anything differently is when you’re faced with a sucker pin (that is, a pin position that dares you to hit a very difficult shot). In that case, forget about the pin and aim for the center of the green. Me? With a wedge in my hand, I go after any pin. 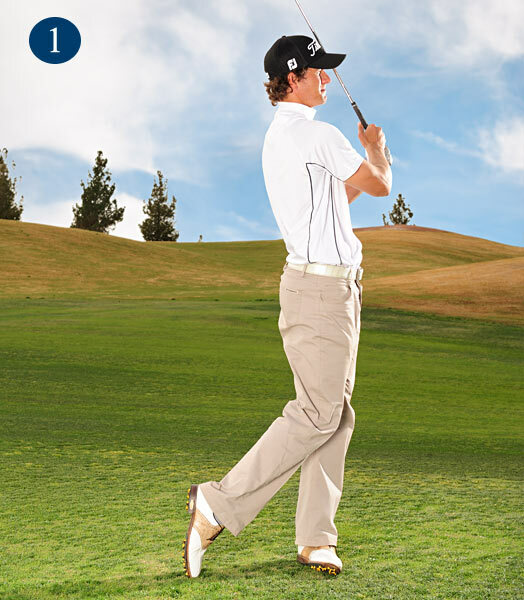 Bring the ball in lower than usual, so that it skips up to the pin after it lands. 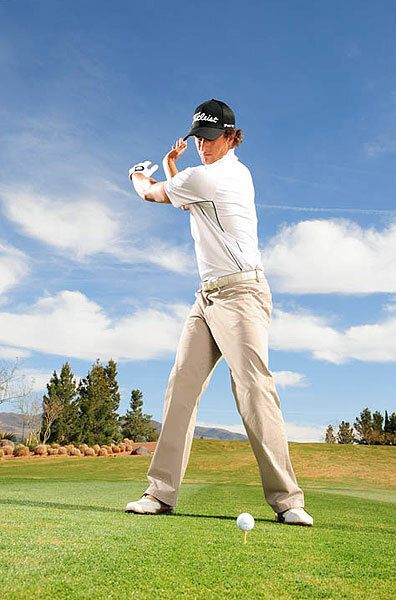 Move the ball a hair back in your stance, pinch it at impact, and cut your follow-through. 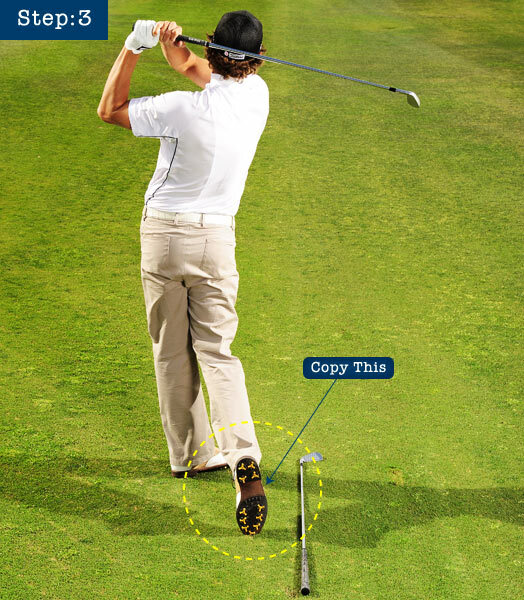 Create a shot that flies high and stops by playing the ball in the center of your stance and making a full finish. When the pin is near the edge of the green (without any hazards), you can go right at it. The worst that’ll happen is that you’ll end up in the rough. 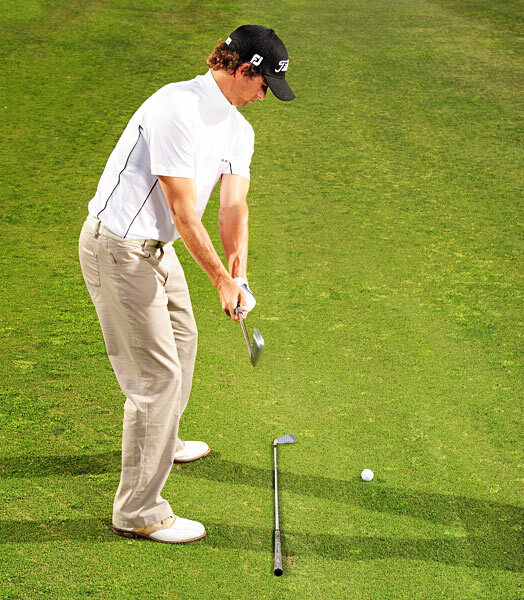 Pinch the ball and cut your follow-through. Make your regular shot with a full finish. I won the EDS Byron Nelson Championship this year by sinking a 48-foot putt in a playoff. Hitting long putts is mostly about using imagination and feel, but it also has a lot to do with speed. No one expects you to hole a long pressure putt, but if you can put the proper speed on the ball, there’s a pretty good chance you’ll putt it to a spot that’ll give you a gimmie. You may even sink one from time to time! 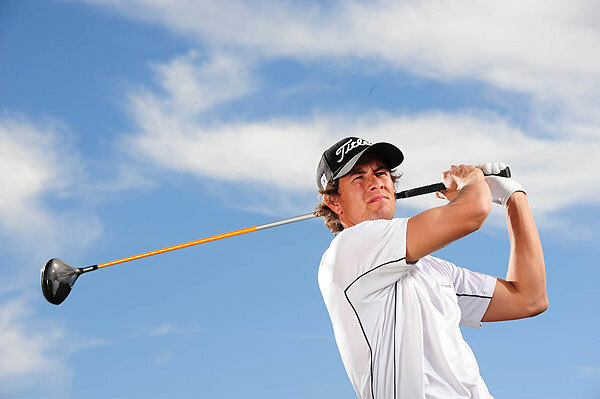 This entry was written by Golf Sport and posted on December 9, 2009 at 7:36 am and filed under Golf Articles. Bookmark the permalink. Follow any comments here with the RSS feed for this post. Both comments and trackbacks are currently closed.